Dogs have long been known as man's best friend, and recent research may have just demonstrated why. European scientists studying the DNA of prehistoric dogs in Germany came to the conclusion in 2017 that all modern dogs have the same geographic origin and can be traced back to a single instance of domestication about 20,000 to 40,000 years ago. Modern dogs likely came from prehistoric humans domesticating gray wolves. Over time, people began selectively breeding domesticated wolves for different traits to become better hunting partners or protectors. As humans migrated to different areas of the world they brought their furry pals with them, and different climates and ways of life led to the selective breeding of even more traits. This began to create the variety of breeds we know and love today. There are 400 different dog breeds roaming the planet today that can be separated into 23 distinct types, or “clades.” As breeding continues, even more different kinds of canines are likely to be created—though it will take a few dog years to do so. Stacker researched the origins of the 50 most popular dog breeds using 2017 data from the American Kennel Club, last updated in March 2018. Together, these pups originated from every corner of the world from Japan to the U.S. East Coast. Soft coated wheaten terriers can trace their ancestry to Ireland, where they were popular figures in local folklore. By the 17th century, terriers were considered a “poor man's dog,” and were often found working on farms, especially in the Irish towns of Cork, Kerry, Limerick, and Waterford. 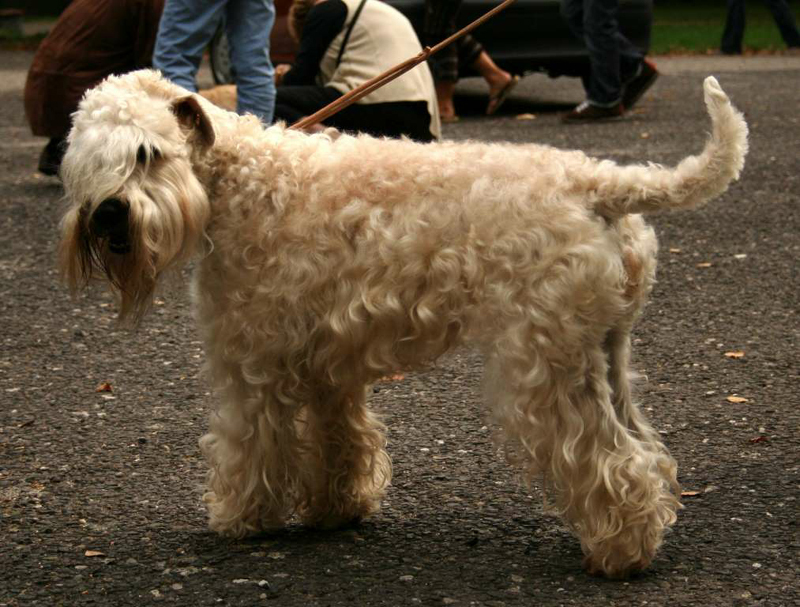 The breed didn't make its way to the United States until the 1940s, when a Massachusetts woman brought the first wheaten terriers to the country. Experts theorize that the soft coated wheaten terrier is probably closely related to the Irish and Kerry Blue terriers, which also hail from Ireland. 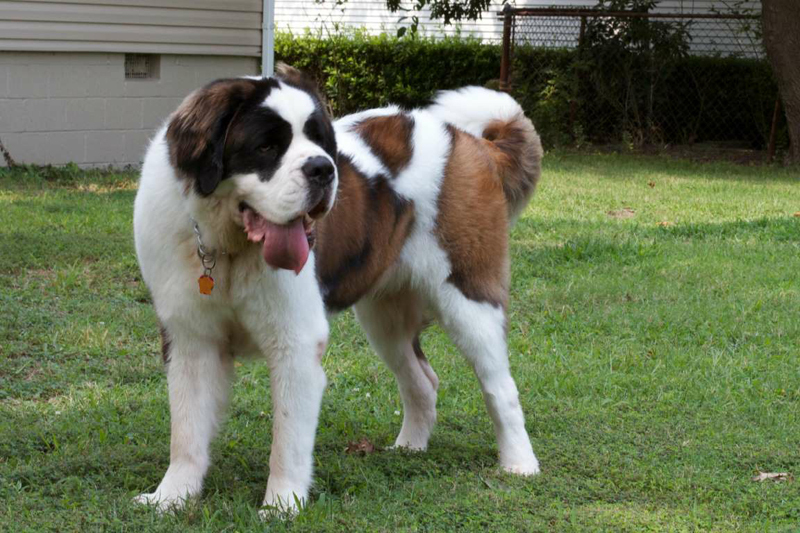 While little is known about the exact origin of the St. Bernard, its mastiff ancestors were likely brought to Switzerland from Rome during periods of war. Around 1700, the St. Bernard as we know it today began accompanying monks at the Great Saint Bernard Hospice and Monastery during their winter periods of isolation, eventually joining monks on patrols or rescue missions to assist travelers after dangerous snowstorms. Male dogs were sent out to dig through the snow and find travelers, or lie on top of fallen travelers to provide warmth from the frigid temperatures. 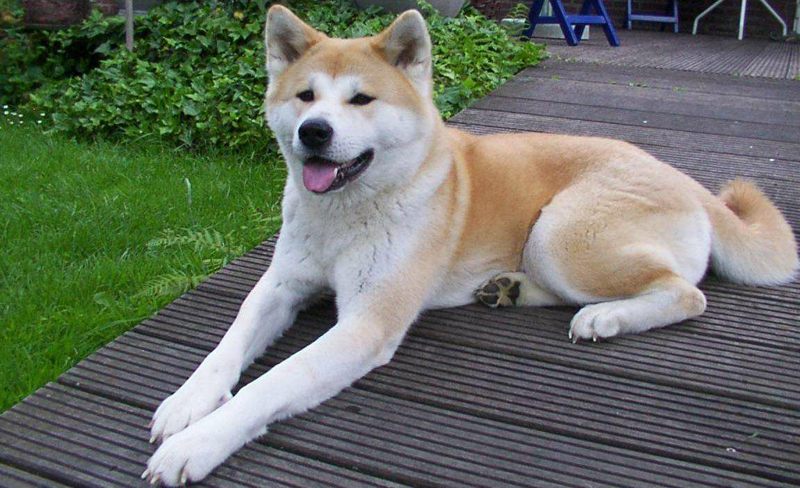 Akitas first popped up in the early 17th century in the Akita district of Japan, where they were the product of generations of selective breeding to create a hardworking hunting dog. For a period of time, only the imperial family and their court were permitted to own an Akita, but eventually the whole country fell in love with the loyal breed, and people of all social classes began adopting the dogs. Helen Keller received an Akita as a gift on a trip to Japan, and she was responsible for bringing the first Akita back to the U.S.. An Akita from the 1920s named Hachiko is world famous and is one of the most popular symbols of Japan today. 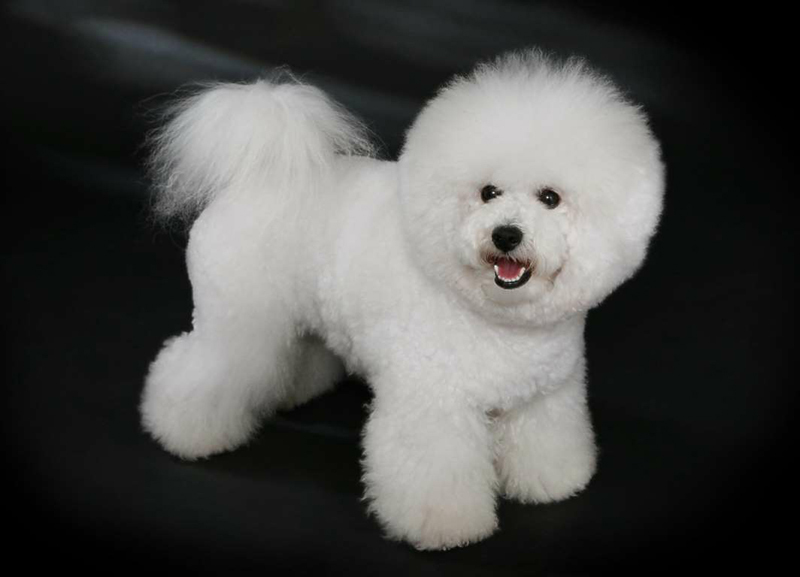 Bichon Frises originated from the Bichon Tenerife, a breed named after a Spanish island. Historians have suggested that the dogs accompanied Spanish sailors during their travels and could have been used for bartering. Between the 14th and 15th centuries, Bichon Frises became wildly popular in Italy and France, especially among nobility and middle-class merchants. King Henry III of France was said to adore his Bichon Frise so much that he carried his pup around in a basket fastened around his neck with ribbons. 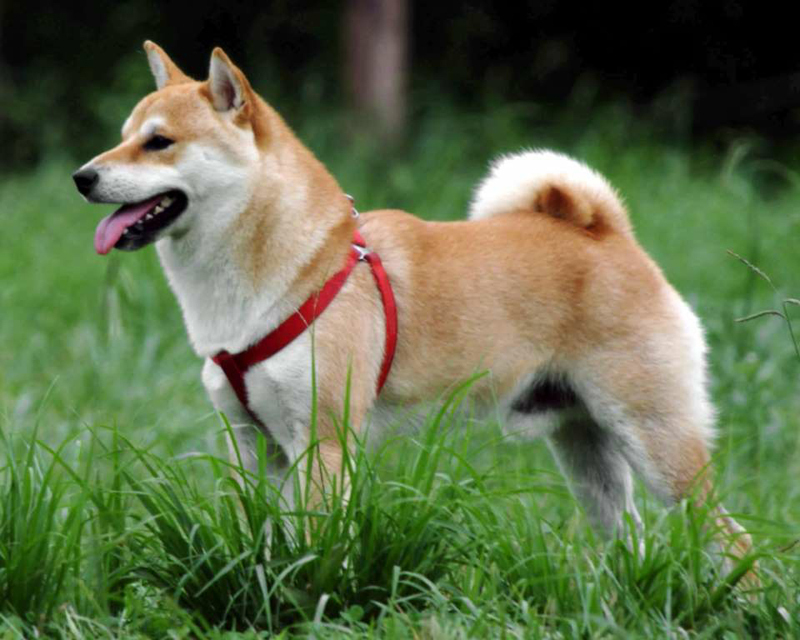 The Shiba Inu is Japan's oldest dog breed, one of six original native Japanese breeds. The dog is a result of thousands of years of selective breeding with the original purpose of hunting small game, as the Shiba could use its diminutive size to its advantage. Samurai used Shiba Inus during the 12th century to hunt wild boar and deer. As its name suggests, the Belgian Malinois originated in the northwest region of Belgium, around the city of Malines. These dogs were first bred to be livestock herders and were the preferred dog breed for Belgian sheepherders and cattlemen. Today, the dogs are still sometimes used as herders, and they are also increasingly used by police forces as K-9s and protection dogs. 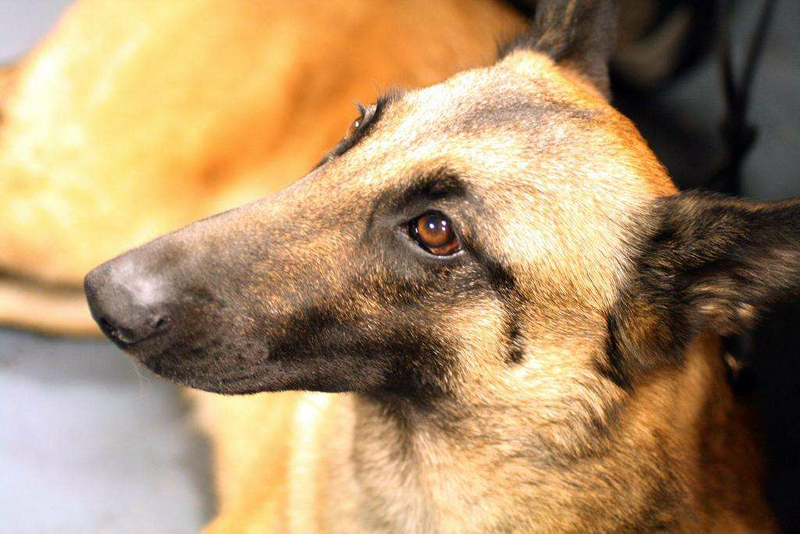 Most of the dogs that work for the Navy SEALS are Belgian Malinois, including a dog named Cairo that helped SEAL Team 6 capture Osama bin Laden. The Chesapeake Bay Retriever originated from two dogs that were rescued from a shipwreck off the coast of Maryland in 1807. The dogs, named Canton and Sailor, were thought to have been Newfoundland and duck retriever dogs. The resulting new breed was originally used for hunting ducks, as the dogs were able to withstand the frigid waters of the Chesapeake Bay. 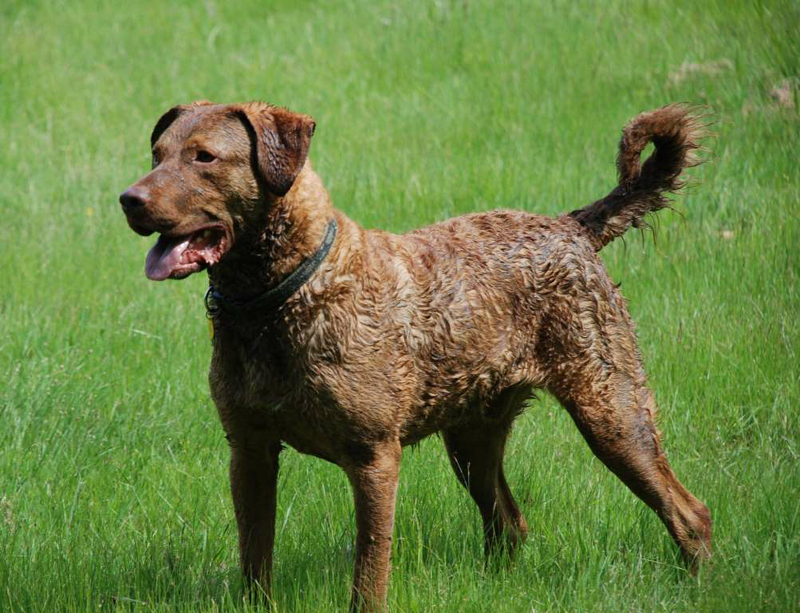 The Chesapeake Bay Retriever was officially recognized by the American Kennel Club in 1885, making it one of the oldest breeds on record. West Highland White Terriers—more commonly known as “Westies”—made their debut in Scotland, most likely in the former county of Argyll. The Malcolm family bred the small white dogs for a number of years before the Westie went public at a London dog show in 1907. 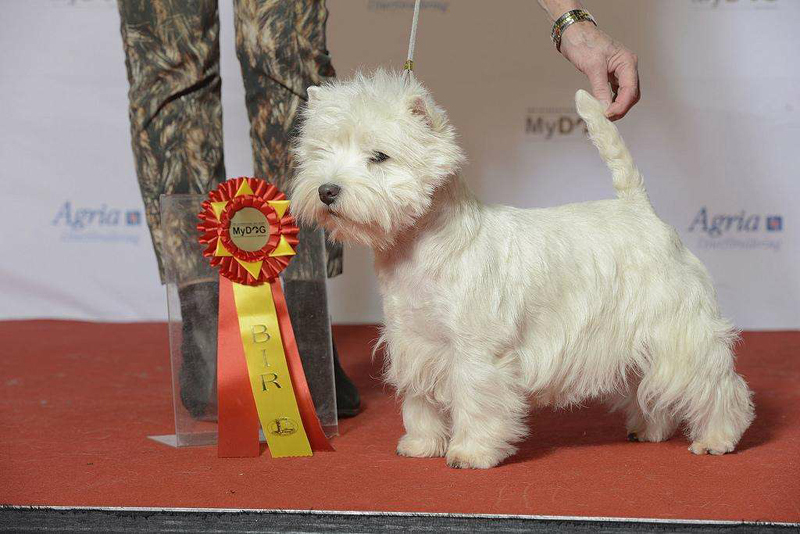 The breed was officially registered with the American Kennel Club in 1908 under the name of “Roseneath terrier,” but the name didn't last long, and the following year the breed was officially called the West Highland White Terrier. A popular children's book series by Rosemary Wells features a Westie named McDuff, who has been beloved by many for almost two decades. 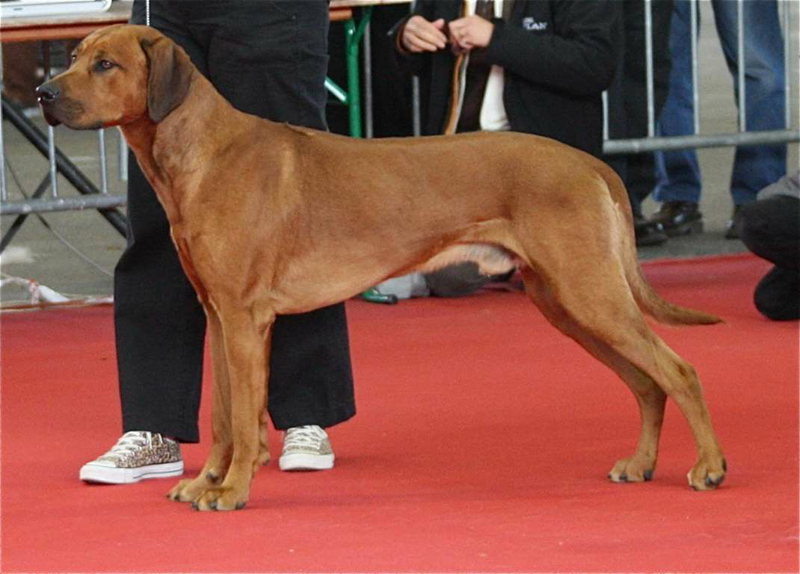 The Rhodesian Ridgeback likely originated from Khoikhoi dogs native to southern Africa. When European settlers arrived in the 16th century, they bred their own dogs with these hunting dogs to create a breed that would fare well in extreme temperatures and be fiercely loyal. These dogs were taken to Rhodesia—a territory that is now located in Zimbabwe—to hunt lions in the 1800s. While little is known about how collies came to exist, the breed was used as a sheepdog in the Scottish Highlands in the 18th century. Collies are more often associated with England: the breed rose to prominence south of Scotland after collies were featured at an 1860 dog show in Birmingham. In 1879, the first collie came to the U.S., and the Collie Club of America was founded in 1886. The world's most famous collie is probably Lassie, a popular character from books, movies, and television. 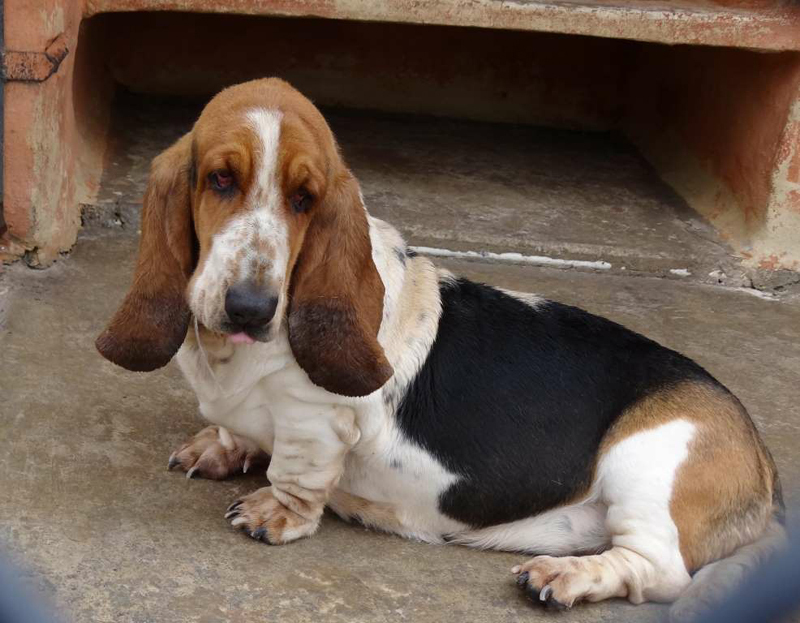 “Basset” comes from the French word for low, which makes sense given how the Basset Hound's ears and body hang low to the ground. The breed can trace its origins to France and Belgium, where many believe the friars at the Abbey of St. Hubert crossed strains of French breeds to create a dog that was close to the ground, so it could better track rabbit and deer. The breed's proclivity for hunting made Basset Hounds a popular choice for French aristocrats. Reportedly, the Marquis de Lafayette—the French diplomat-turned-revolutionary—gifted George Washington with Basset Hounds after the American Revolution. 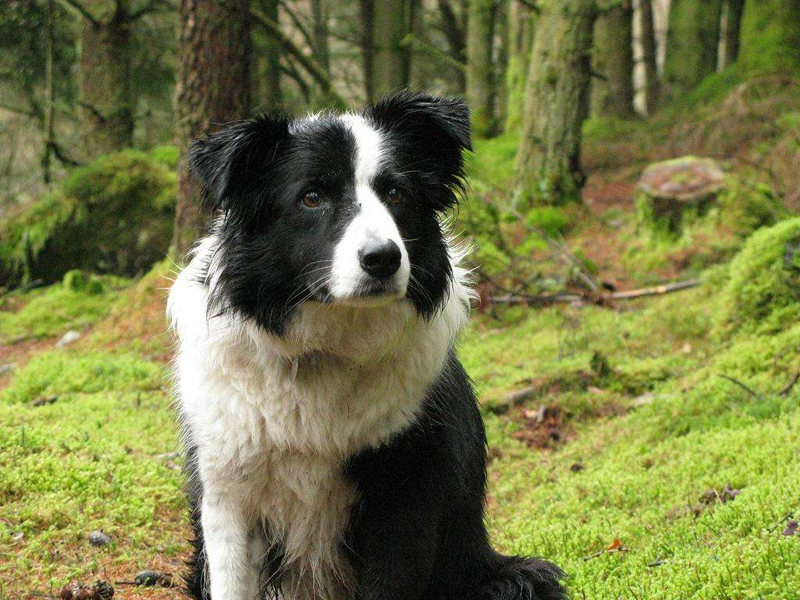 The name of this breed comes from the fact that border collies were first developed on the border between England and Scotland, in an area called Northumberland. Border collies, which were originally used for herding sheep, were officially recognized as a breed in 1915 for the purpose of distinguishing the dogs from other collie breeds. In the beloved Oscar-winning movie “Babe,” a border collie named Fly adopts the pig Babe and teaches her to herd sheep like him. 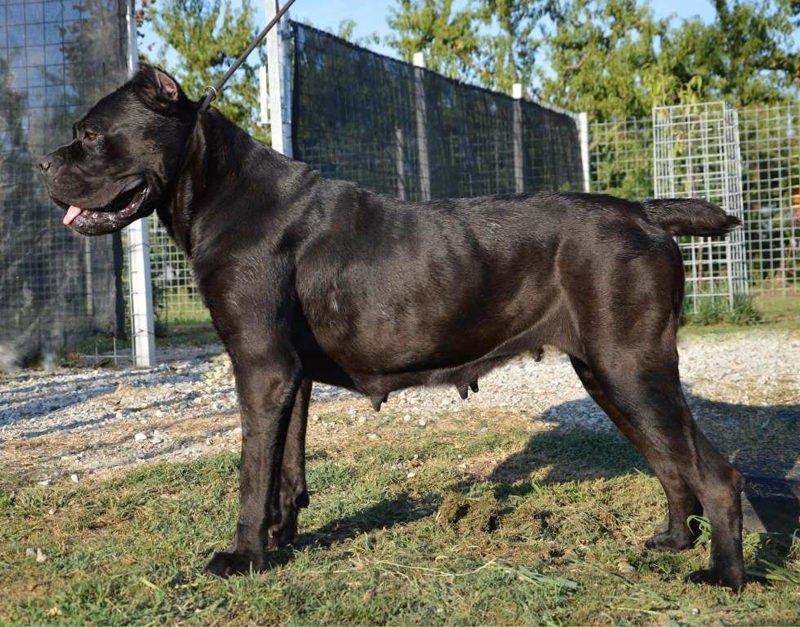 The Cane Corso breed originated from Greek mastiff-type dogs that were bred with Italian pups. The resulting dogs were used in military battles, sometimes with buckets of flaming oil strapped to their backs. After the 5th century, Cani Corsi found a new lifestyle at home, serving as guard dogs and working on farms. The breed was almost driven to extinction, but in the 1970s, a group of Italians committed to bringing the breed back. The first Corso came to the U.S. in 1988, and the breed was officially recognized by the American Kennel Club in 2010. 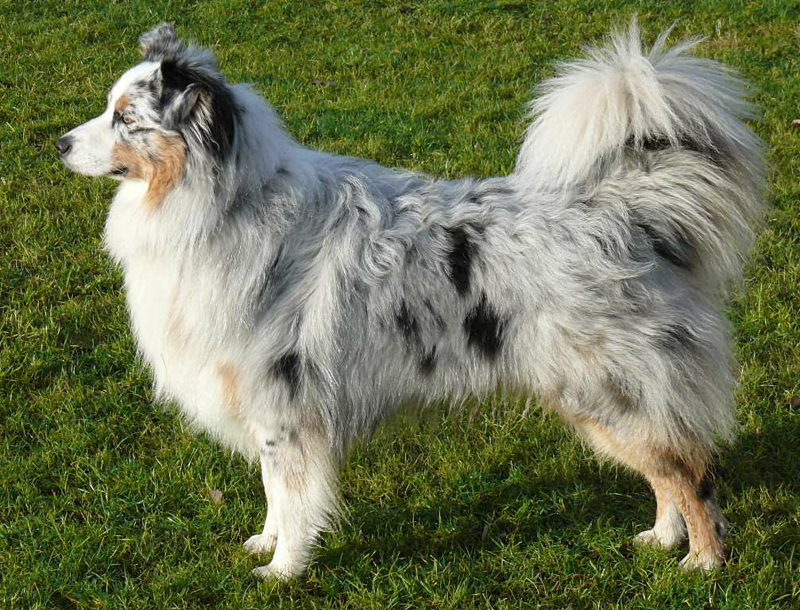 Miniature American shepherds are a relatively new dog, developed through the selective breeding of smaller Australian shepherds beginning in 1960. In fact, the breed was originally called the miniature Australian shepherd, and is still sometimes mistakenly called so. The name was changed to avoid confusion with the original breed. Miniature American shepherds quickly became known as excellent traveling partners and frequently accompanied their owners to equestrian shows. Now they are loving family dogs for many. 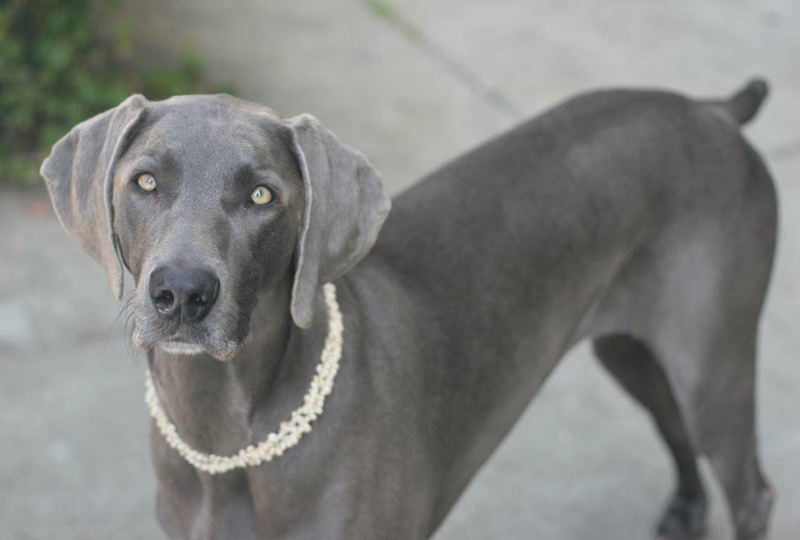 The Weimaraner can trace its origins to the early 19th century in Weimar, Germany, where the breed was created from a mix of bloodhounds, English pointers, German shorthaired pointers, and the blue Great Dane. These dogs originally hunted big game—such as deer—as well as birds, rabbits, and foxes. Weimaraners sharply rose in popularity after World War II, when many service members brought the dogs back to the U.S. with them. During the Cold War, Weimaraners were used to track and find missile parts. 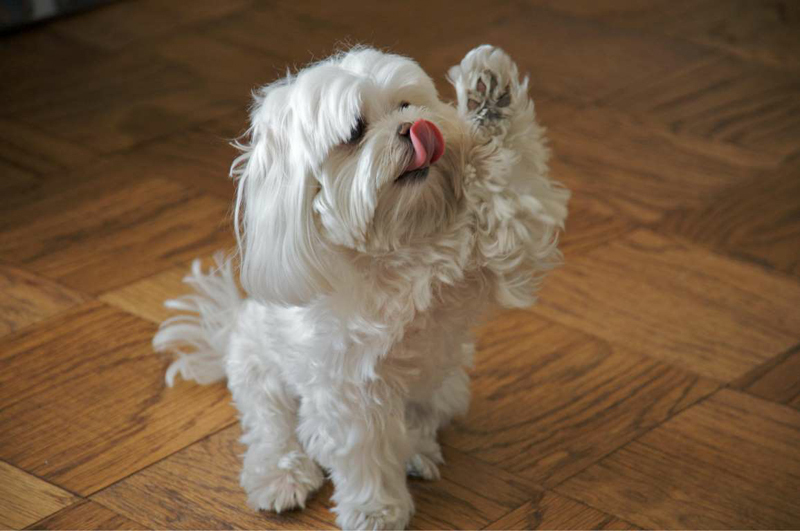 There are numerous theories about how the Maltese breed came to be. 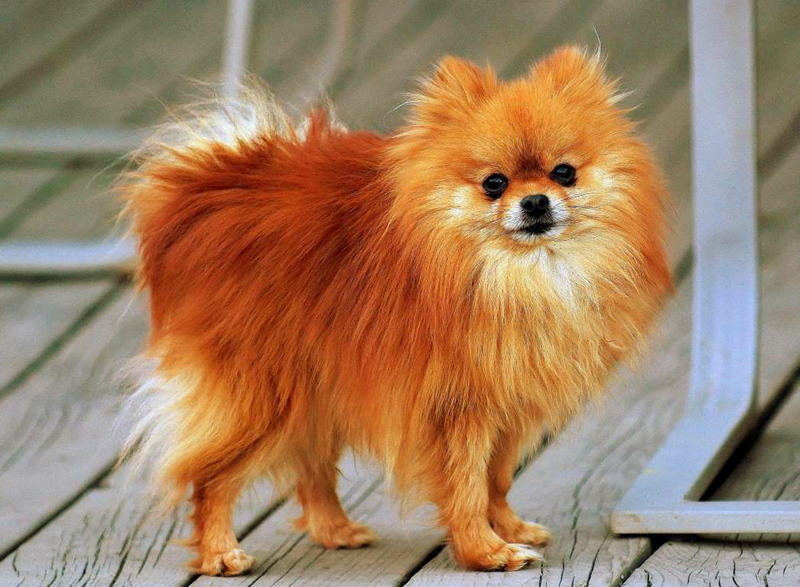 One speculates that these pip-squeak dogs are descended from a Swedish Spitz-type dog. Another posits that they originated from the Tibetan terriers of Asia. However the dog came to be, the breed was officially established on the Mediterranean island of Malta. By the 1300s, the Maltese had gained popularity in Great Britain as well, where they were among the favorite pets of kings and queens. 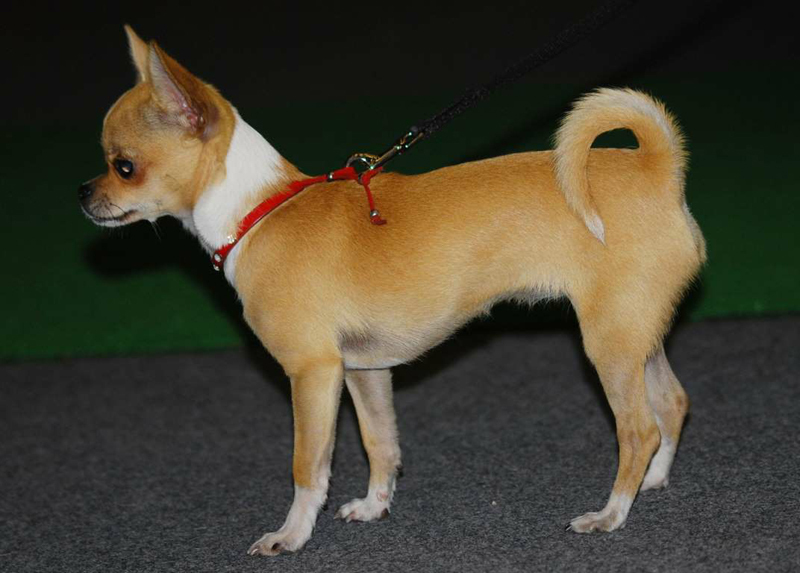 As its name suggests, Chihuahuas were developed in the Chihuahua region of Mexico, the largest of the country's states. According to historians, American tourists took an interest in the tiny pup in the 1800s, often bringing the dogs back to the United States. It is thought that the breed we know today is descended from another small companion dog found in ancient Central American civilizations or Native American tribes. Today, many associate the popular fast food chain Taco Bell with Dinky, the Chihuahua featured in advertisements. The pug's history spans more than 2,000 years, back to when the breed was a favorite of Chinese emperors. 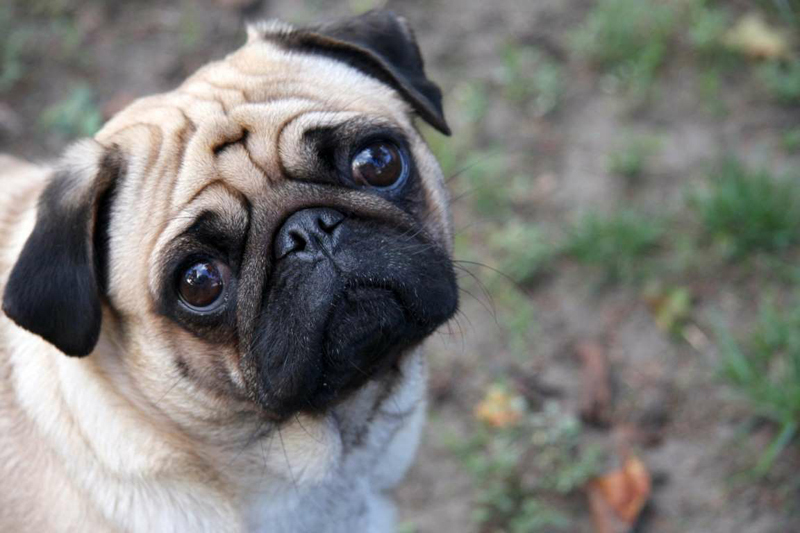 Later, around the 16th century, Dutch traders brought the pug to Europe, where the dog was later said to save the life of a Dutch prince by barking to warn him of an impending attack from the Spanish army. It is thought that the name of the breed, “pug,” originated from the Latin word for fist, “pugnus,” meant to refer to the breed's flat, scrunched face. The dog in Disney's classic “Pocahontas,” is a pug, and he represents the companionship that the breed offers for many people across the world. 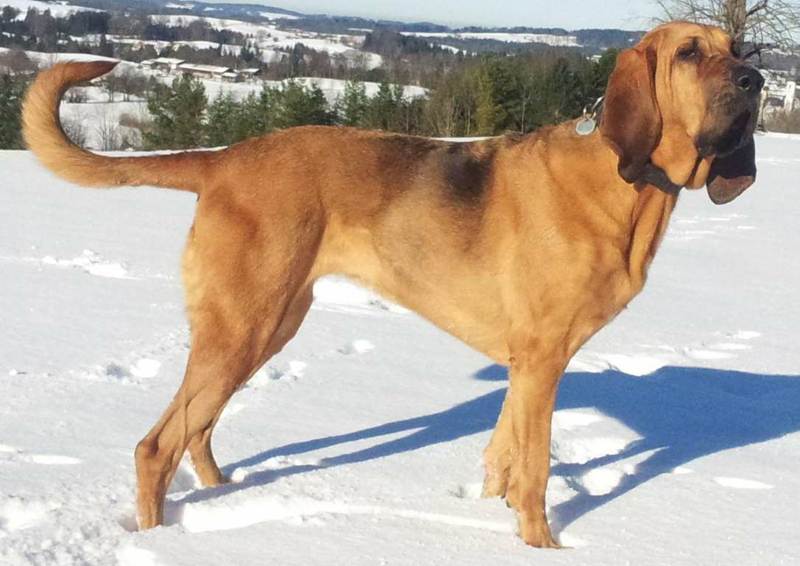 Vizslas call Hungary home. There, they were originally the prized hunting dogs of the Magyar tribe in the 8th century. Historians have even found ancient stone etchings featuring Vizslas and their prey. 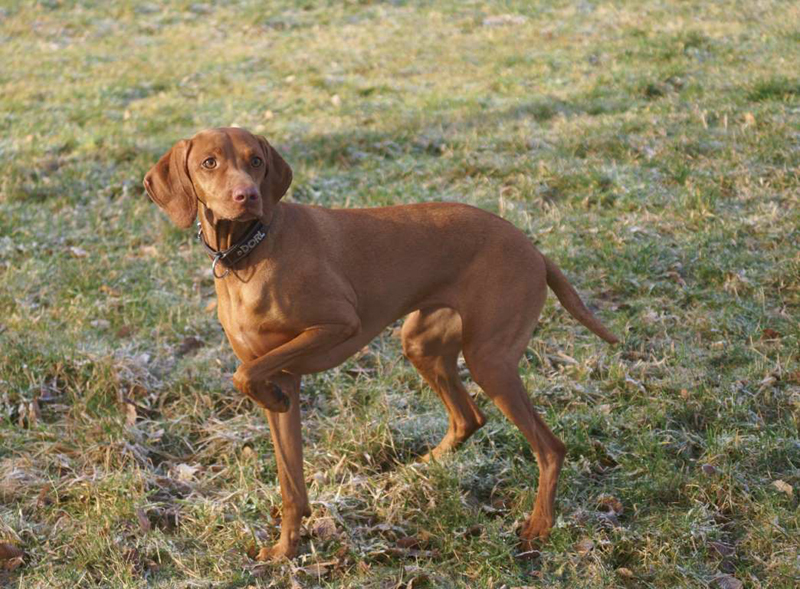 The breed declined as the years wore on, however, and after World War II, when Russia occupied Hungary, many feared that the breed would be completely eradicated, since owning a Vizsla was a symbol of royalty. As a precaution, some people smuggled the dogs out of the country and into Austria and the U.S. Though the breed suffered a decline, dedicated owners built the breed back up, and the Vizsla officially gained American Kennel Club recognition in 1960. Cocker spaniels are part of the larger spaniel breed, which is originally from Spain. Cocker spaniels rose to particular prominence in England, however, and by the 19th century, they had established themselves as excellent hunting dogs, with deft abilities both in water and on land. 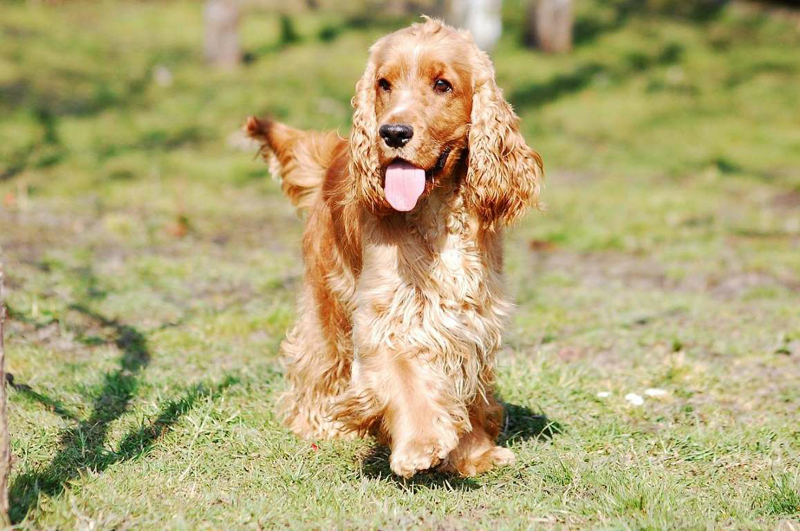 Today, the breed has largely been split into two varieties: the English Cocker spaniel and the American Cocker spaniel, with the American version generally appearing smaller. The most famous Cocker spaniel of all-time is arguably Lady from “Lady and the Tramp,” the beloved star of the classic Disney animated film. The enormous mastiff has been popular around the world for centuries, but the dogs we know today—sometimes called “Old English Mastiffs”—trace their roots back to Great Britain. 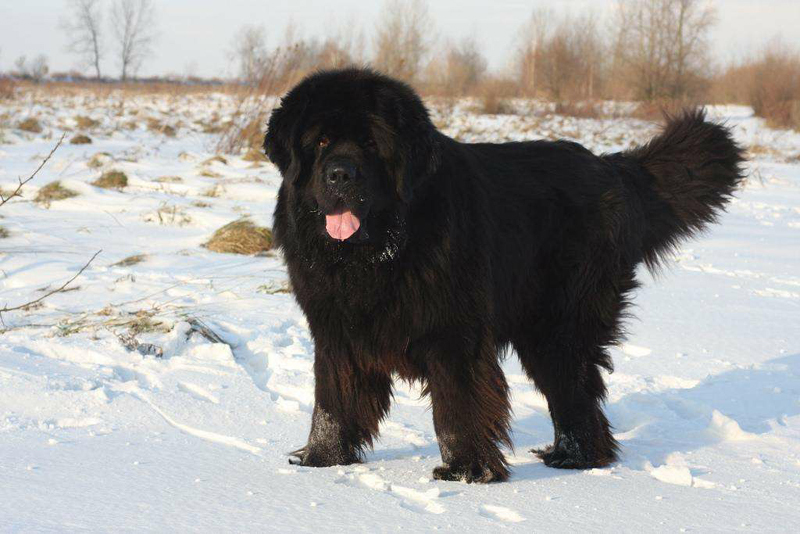 When Julius Caesar invaded Great Britain in 55 B.C., he was reportedly taken aback by the size and strength of the mastiffs in the area and brought several back to Rome to fight wild beasts and gladiators. At the end of World War II, mastiffs were all but extinct, with just an estimated 14 surviving dogs. 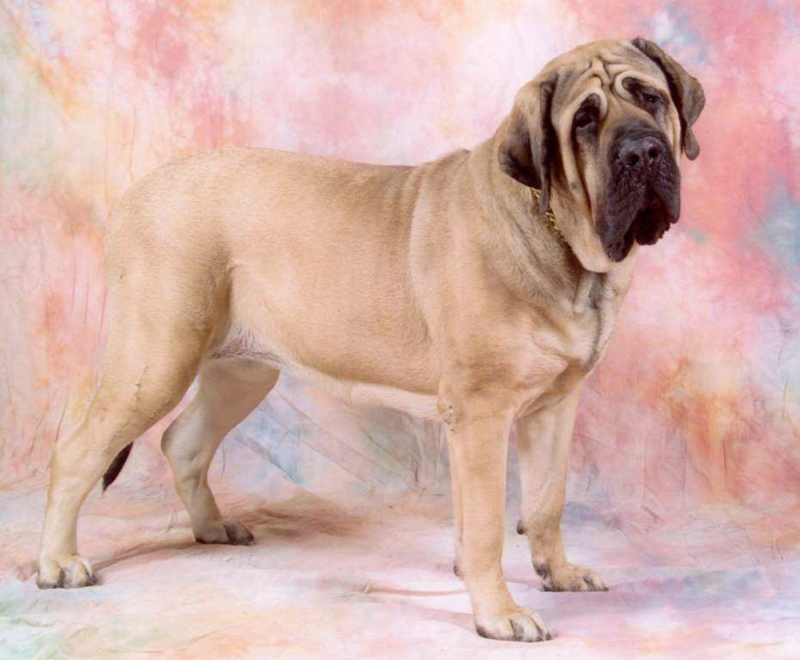 Thanks to the hard work of U.S. and British breeders, the mastiff has recovered and is cherished for its courageous and friendly temperament. Though the larger spaniel breed originated in Spain, it was a fixture in English society as far back as 300 A.D. 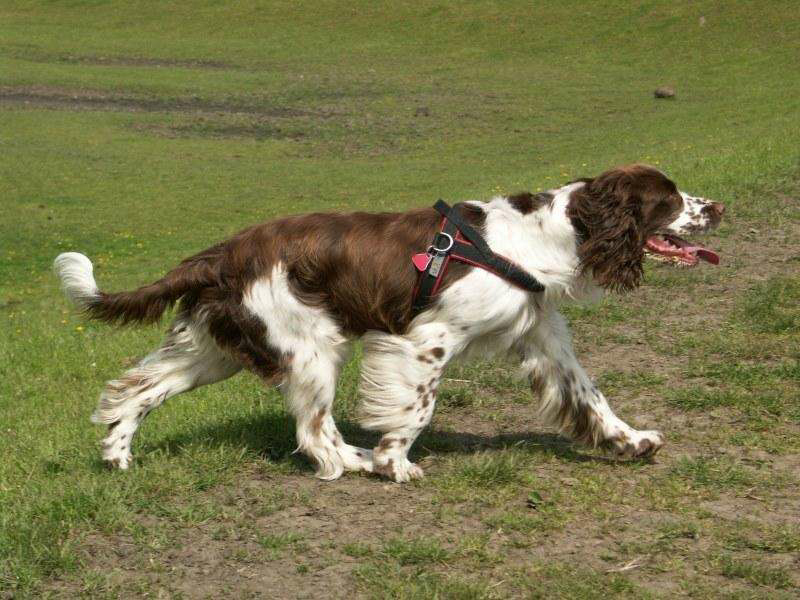 Similar to other spaniels, the English Springer spaniel was primarily used as a hunting dog. 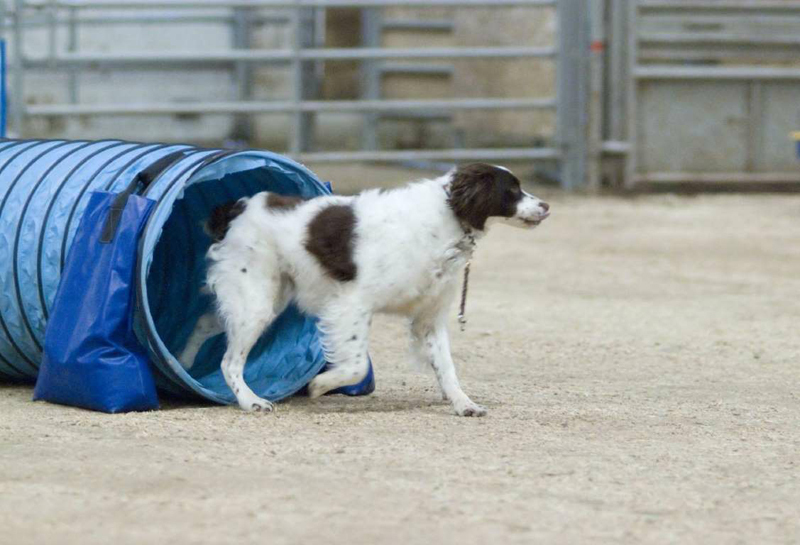 The English Springer spaniel is larger than its Cocker spaniel cousin, however, and was used to “spring” larger game, such as hawks. In 1913, the breed was exported from England to Canada, and it eventually rose to prominence in North America. The Bush family famously owned English Springer spaniels; President George H.W. Bush cherished his spaniel Millie, and President George W. Bush had an English Springer spaniel named Spot. 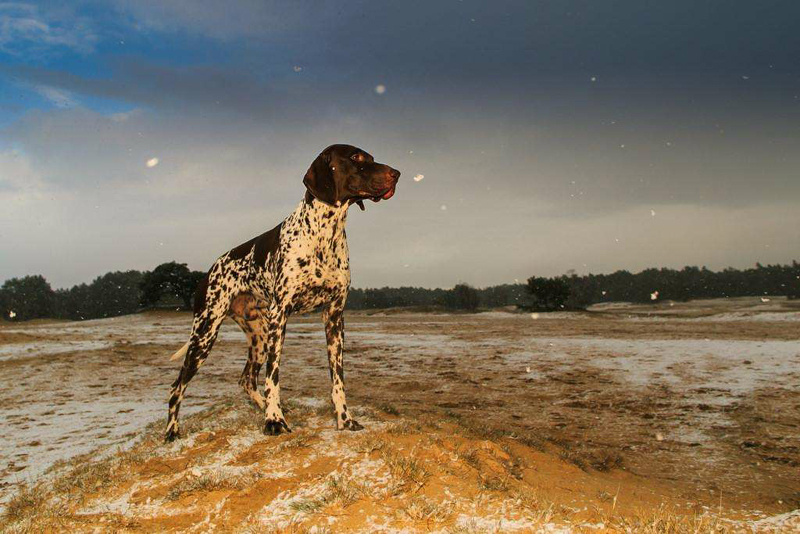 Brittanys are thought to have developed in the 19th century, when English hunters left their dogs in the Brittany region of France after the hunting season had ended. Many theorize that native spaniel dogs were bred with English pointers and setters to create the Brittany breed. Records show that a Brittany was displayed at a Paris dog show in 1896, and the breed was officially recognized in the country in 1907. Brittanys arrived in the U.S. in 1928 and in the U.K. in 1982. 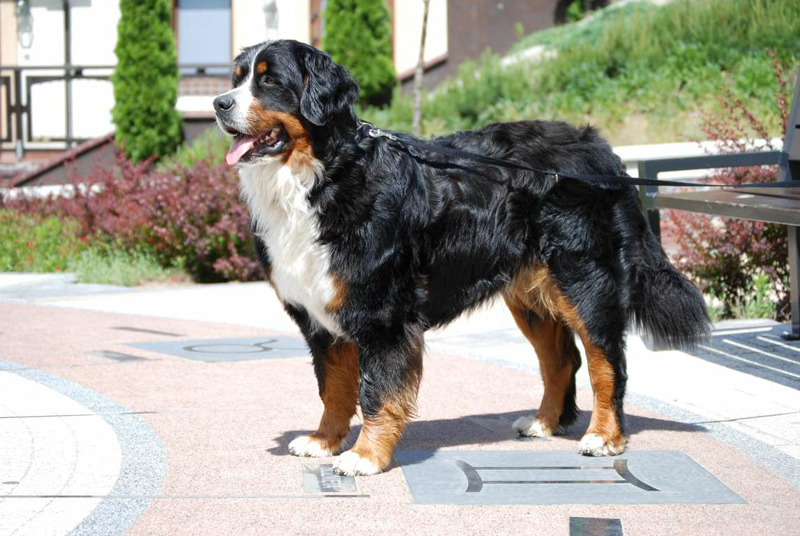 Bernese Mountain dogs originate in Bern, Switzerland, where they originally drove cattle, protected farms, and hauled supplies. By the late 1800s, mechanized farming had driven down the breed's numbers, but Swiss breeders worked tirelessly to bring the population of gentle giants up again. In 1926, a Kansas farmer imported two Bernese Mountain dogs, and the breed became an instant hit stateside. The breed has gained attention in news reports for rescuing people in danger: in 2015, a Bernese Mountain dog named Nico saved two people from being swept to sea by a rip current in California. 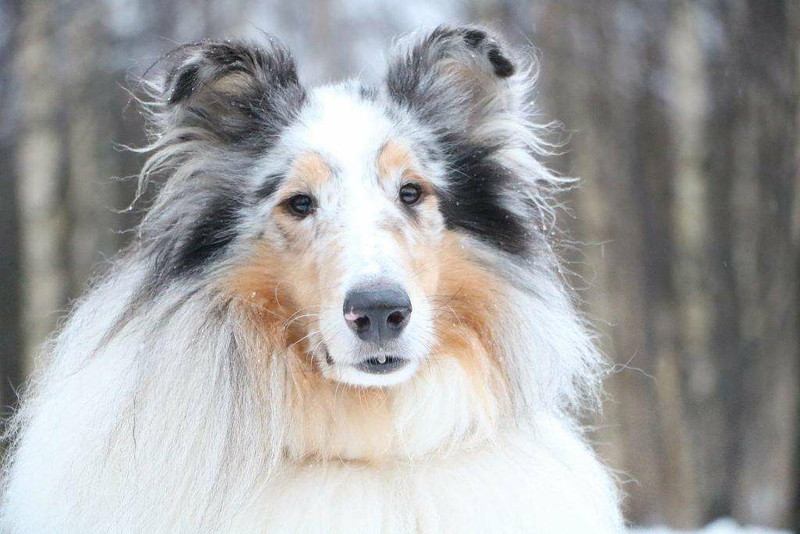 Shetland sheepdogs—often called “Shelties”—are most likely descended from Scandinavian Spitz-type dogs that were imported to Scotland's Shetland Islands in the 1700s and bred with collies. By the 1800s, native Shetland Islanders sold the new breed to tourists who had become enamored with the small dogs. 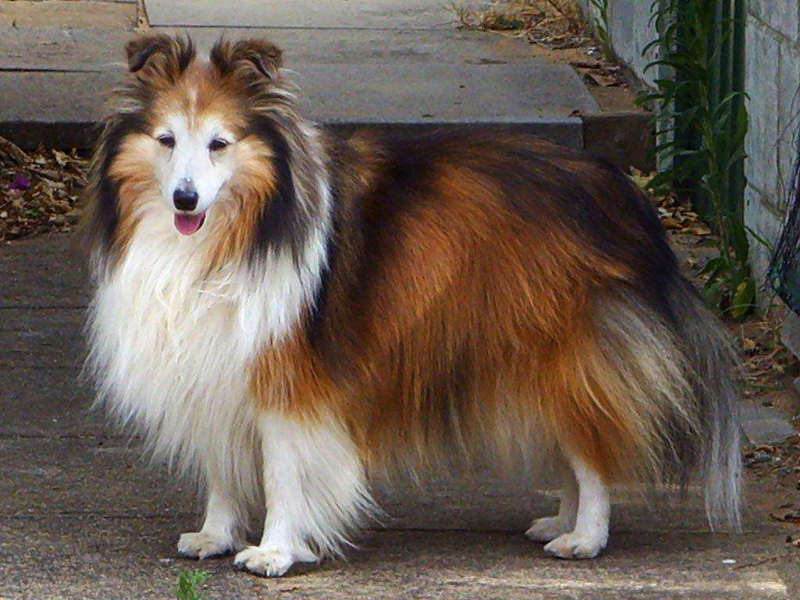 Though the breed closely resembles a collie and was even called the Shetland collie for a period of time, the name was eventually changed to the Shetland sheepdog in order to placate collie breeders who had grown frustrated with the new breed's classification. The Havanese is Cuba's only native breed, but the dog's worldwide fame makes up for it. The earliest Cuban settlers likely brought small dogs from the Spanish island of Tenerife with them, and the dogs eventually grew and adapted to Cuba's tropical climate. 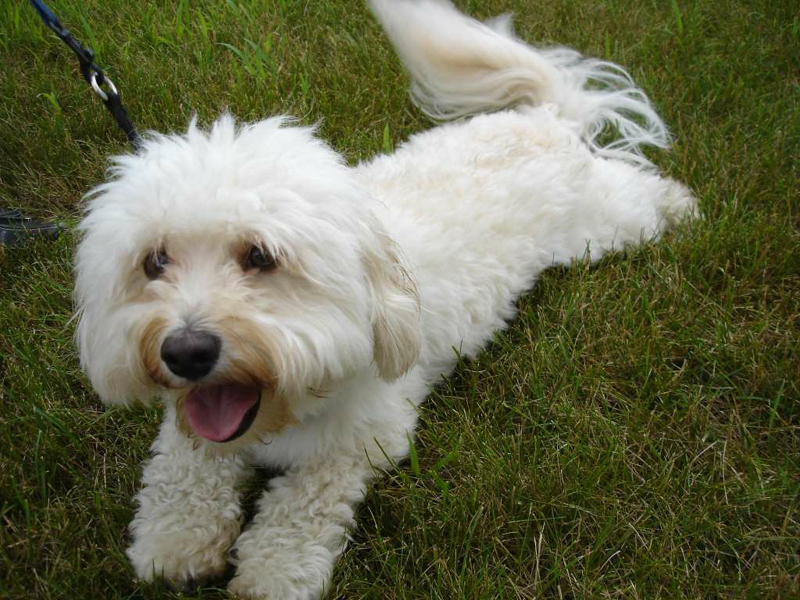 In fact, the Havanese's long coat actually insulates and protects it from the hot sun, making the breed extremely heat-tolerant. By the 18th century, European tourists in Cuba fell in love with the tiny yet energetic Havanese and began bringing the dogs back home. The Havanese became extremely popular, with Queen Victoria even owning two of her own. The Boston terrier can trace its origins to a specific dog that a Boston resident purchased and imported from England in 1865. This dog, named Judge, was a cross between an English bulldog and a white English terrier. 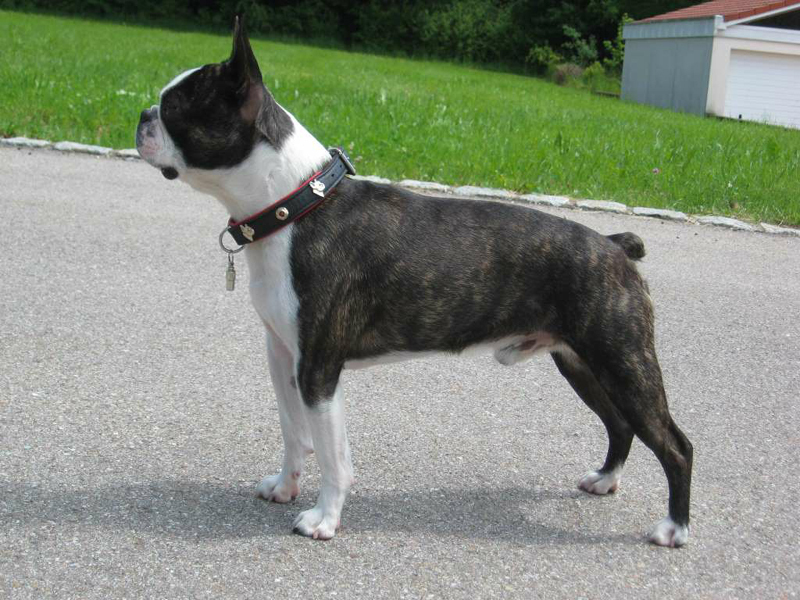 Judge was bred with a white female dog (whose breed has been lost to history), and thus created the Boston terrier. The pup was officially named the Boston terrier in 1891, and from 1905 to 1939, it was the most popular dog in the United States. Today, a Boston terrier named Rhett is the official mascot of Boston University. Shih Tzus are thought to have been bred by Tibetan monks, who gave the dogs to Chinese nobility as far back as 2,000 years ago. Empress Tzu Hsi, who ruled China from 1861 to 1908, was reportedly gifted a pair of the dogs, and she went on to consider the breed especially sacred. 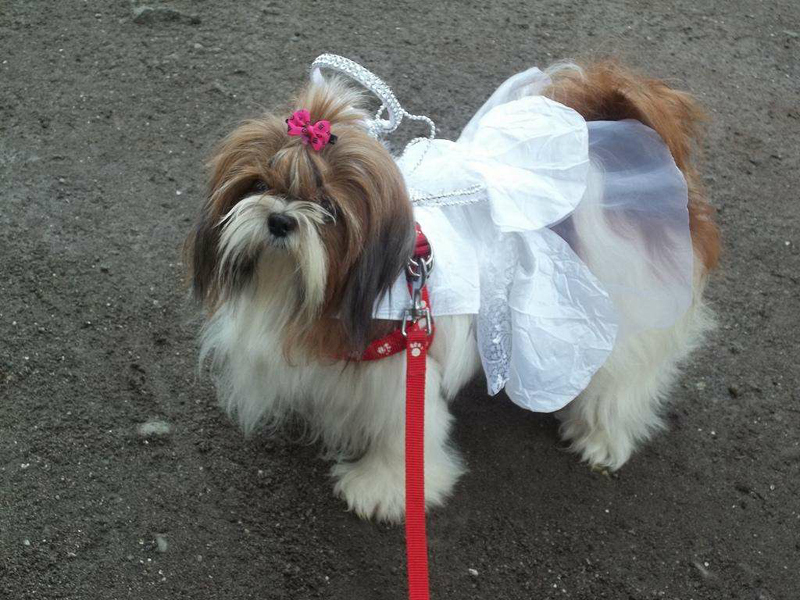 From there, Shih Tzus were given to English and Dutch nobility as presents and gained popularity in the West. By the late 1930s, the first Shih Tzus had arrived in the U.S., where Americans grew to adore the small dogs' gorgeous coats and loyal companionship. 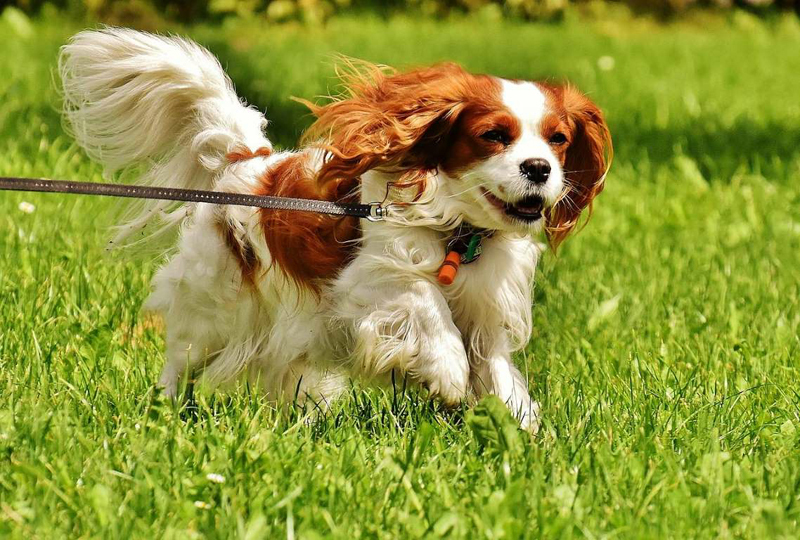 The Cavalier King Charles spaniel is descended from other toy spaniels, who were popular pets for women during Tudor times. Under King Charles II of England—the namesake of the breed—the dogs became akin to royalty. King Charles even wrote a decree that the King Charles spaniel would be permitted in any public place at any time, including the Houses of Parliament. The breed eventually went out of fashion, but dedicated breeders redeveloped the dogs from other toy spaniels. In 1928, the standard of the breed was created in England. President Ronald Reagan had a Cavalier King Charles spaniel named Rex. 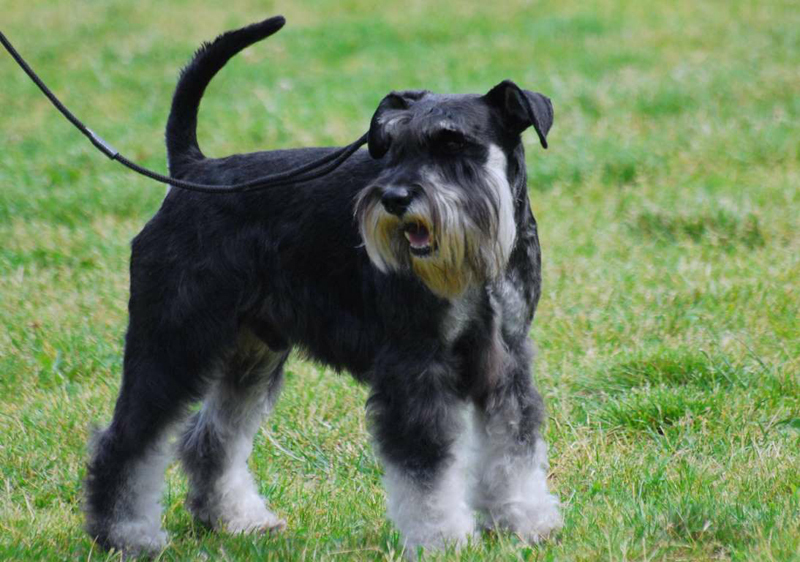 German farmers created miniature Schnauzers by breeding the standard Schnauzer—which has roots in the country from the 15th century—down to a miniature size to catch rats. This was accomplished by crossing small standard Schnauzers with Affenpinschers and poodles. Former U.S. Senator Bob Dole was famous for his love of miniature Schnauzers, and even held a birthday party for his 13-year-old dog, Leader. 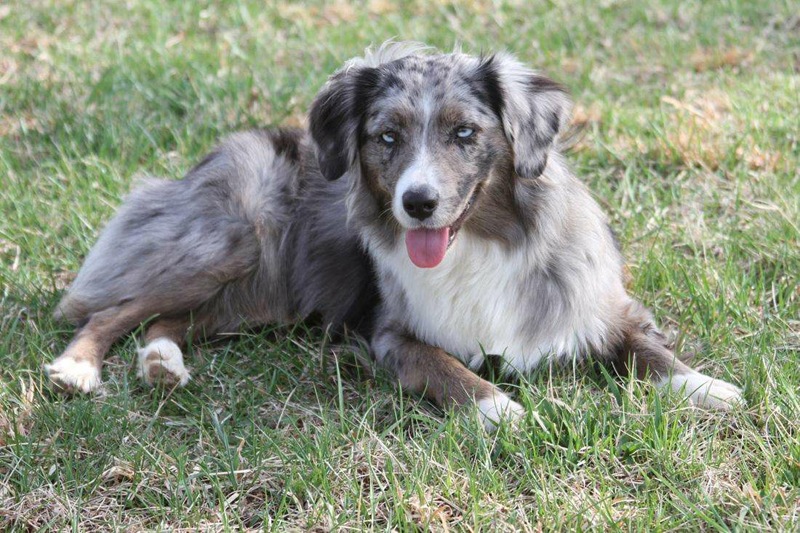 Despite its name, the Australian shepherd has roots that can be traced back to Europe's herding dogs. In the early 1800s, many people from the Basque region traveled to Australia in order to try their luck at farming, and brought their shepherd dogs with them. 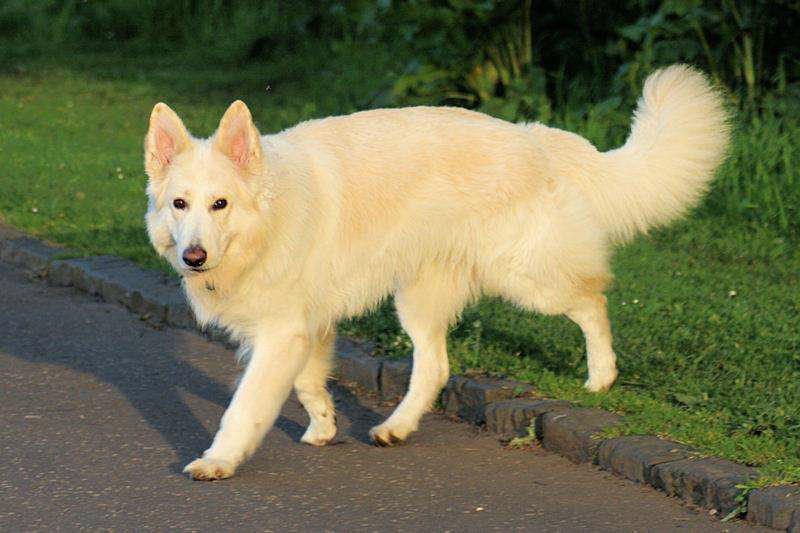 While in Australia, these dogs were often crossed with collies, and before long, the Basque people moved onto California, where their dogs were admired by Americans who assumed that the dogs were native to Australia. Australian shepherds were readily incorporated into western “cowboy” culture and even today are still part of rodeo shows. 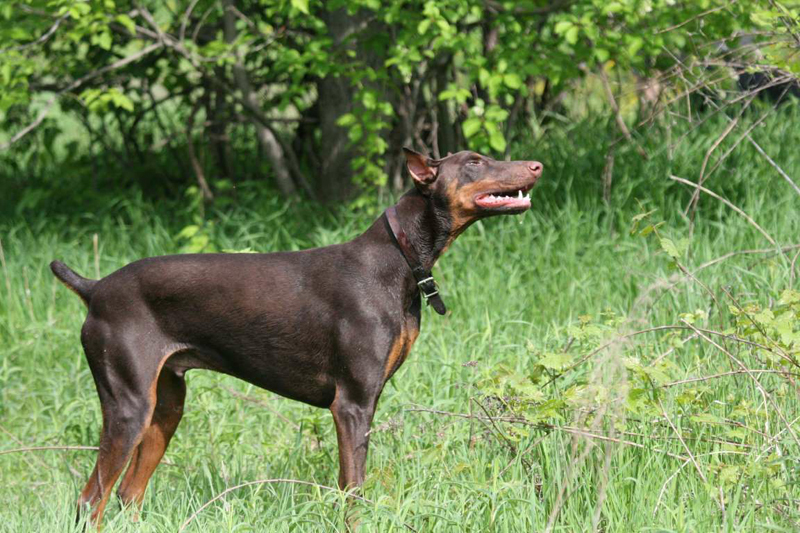 The Doberman Pinscher was pioneered in Germany in 1890 by Karl Friedrich Louis Dobermann, who combined several breeds of dogs to create this new dog. The pups were bred to be “police-soldier dogs,” and were primarily used for that purpose up to World War II. Doberman Pinschers played an especially important role in liberating Guam, where they served as sentries, messengers and scouts. Today, there is even a memorial statue in Guam honoring the Dobermans that assisted the U.S. These dogs are also known for starring in the 1970s series of movies “The Doberman Gang,” which followed six dogs named after famous bank robbers. 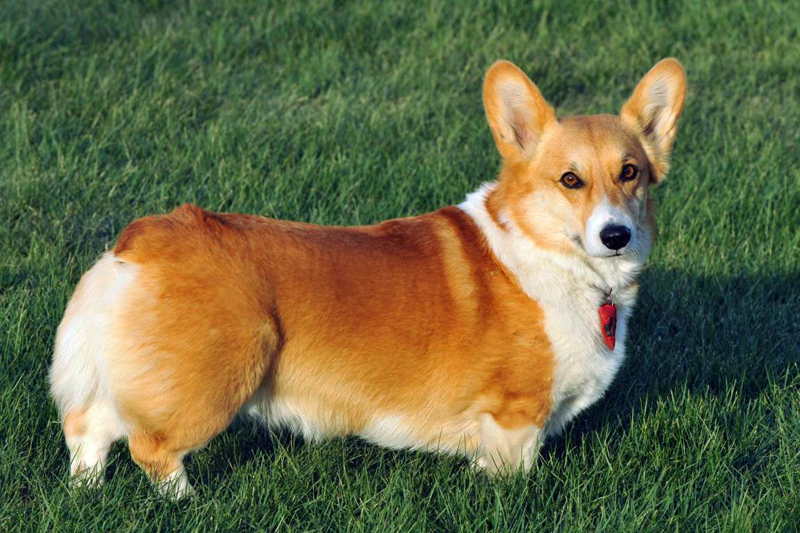 Pembroke Welsh corgis originated in Wales like their close cousin, the Cardigan Welsh corgi. In fact, the two were considered to be the same breed until 1934. Reportedly, the Pembroke came to Wales around the 10th century and was named after the area of Pembrokeshire. Both breeds of corgis were used to work with cattle because their small stature allowed them to nip the heels of livestock. Eventually as laws and policies changed, farmers switched to using more traditional herding dogs, but corgis had earned a place in the larger public's heart. Queen Elizabeth II of England has owned more than 30 corgis over the course of her reign. 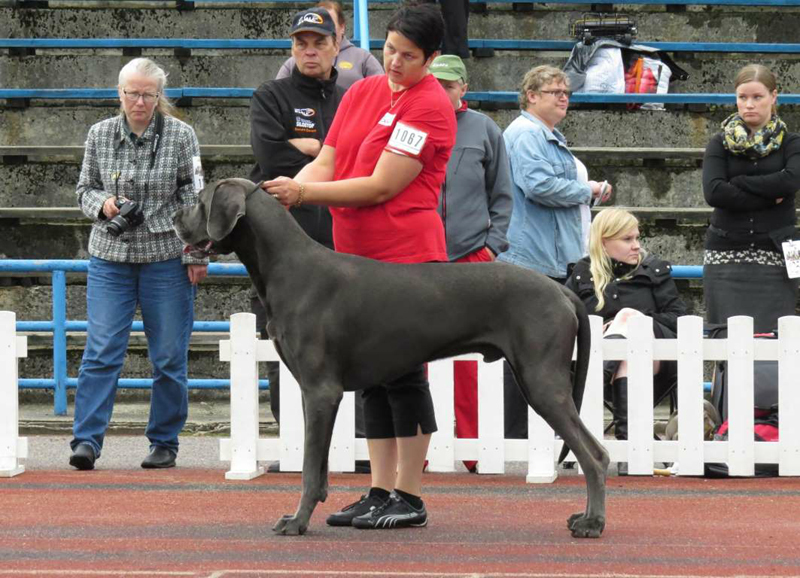 The Great Dane is actually not a Danish breed. 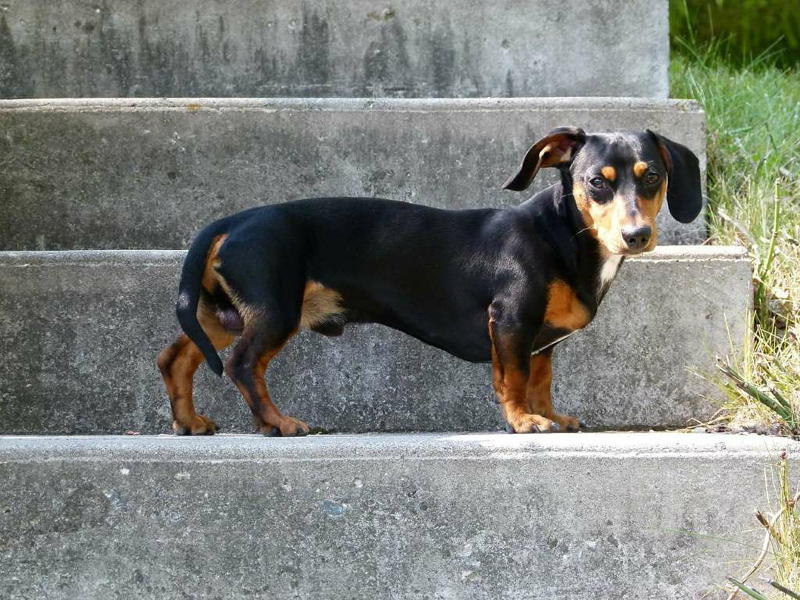 Instead, it hails from Germany, where the dogs have been bred for at least 400 years. Great Danes were developed by German nobles to hunt wild boar and were later used to protect homes and serve as fiercely loyal companions. Two of the most famous cartoon dogs today are also Great Danes: Marmaduke and Scooby Doo. 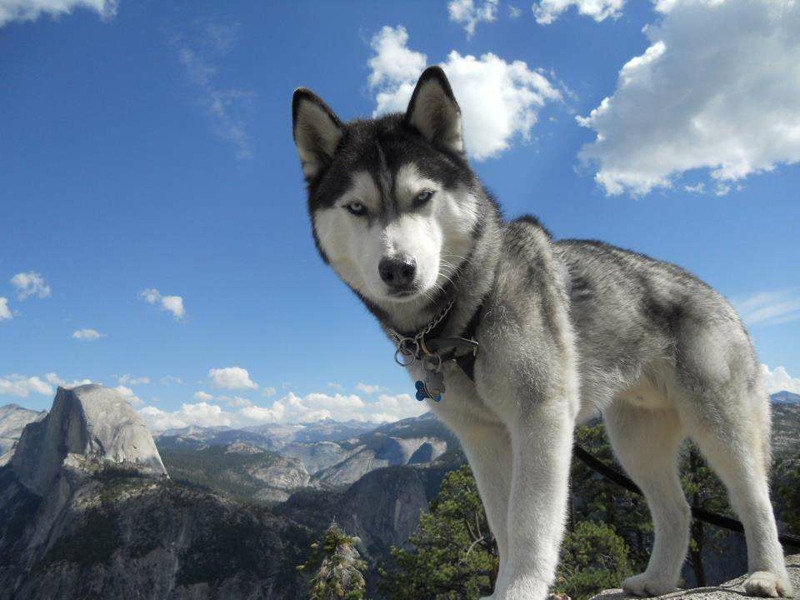 Siberian huskies were created by the Chukchi people of northeastern Asia, who used the dogs for hunting and sledding in the Siberian Arctic about 4,000 years ago. North American fur traders eventually brought the huskies to the continent at the turn of the 20th century and to Alaska in 1909 for sled dog races, where the dogs excelled. In 1925, Alaskan huskies ran from Anchorage to Nome to deliver a diphtheria antibiotic for children, becoming nationwide heroes. The famous Iditarod sled race in Alaska today takes place every year and traces the same path the dogs followed in 1925. The ancestors of the boxer were most likely Assyrian war dogs that existed as far back as 2,500 B.C., but the boxer breed itself originated in Germany in the late 1800s. 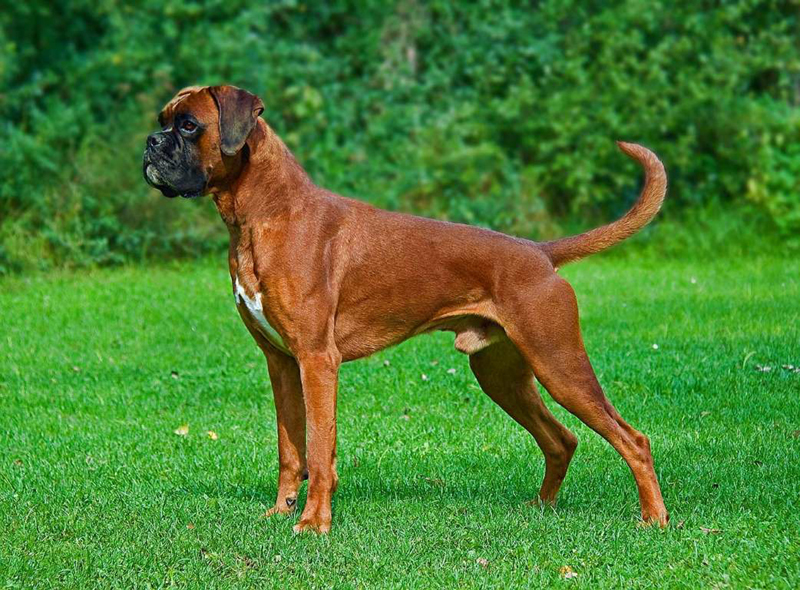 Some theorize that the boxer was bred down from a larger German breed called the Bullenbeisser. The Bullenbeisser was used to hunt large game, such as bears and bison, but the modern day boxer is much sleeker and smaller. Boxers became especially popular in the U.S. in the 1950s, after a successful Westminster dog show. 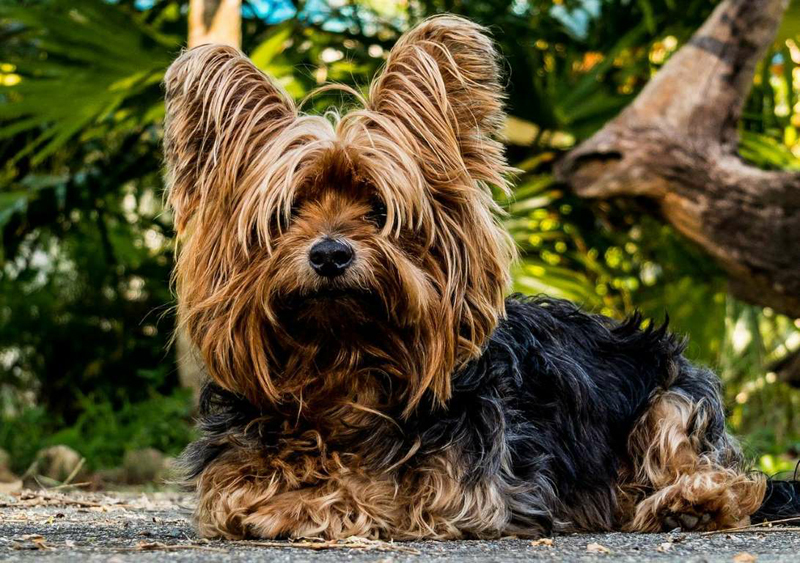 The Yorkshire terrier is descended from many other different types of terrier dogs, but historians do not know the exact breeds because breeders at the time were not accustomed to keeping detailed records. We do know that the Yorkshire terrier was used as a ratting dog by the mid-1800s to keep control of the rat and vermin populations in mills and mines. The dog was also used by hunters to intimidate small game. In 1872, the Yorkshire terrier made its way to the U.S., and two short years later, the breed was officially given its name. 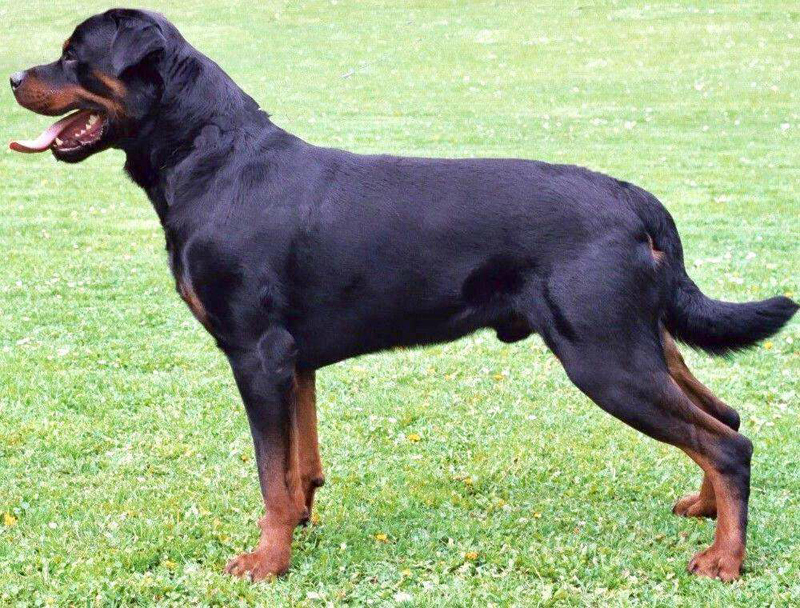 Rottweilers can trace their ancestry to the mastiff-style dogs that ancient Romans used in war. After periods of war, the dogs were put to work in the German town of Rottweil, laboring on farms as herding dogs or protection dogs. Amid the 1800s, when railways were becoming more popular, Rottweilers began serving as police dogs or heavy duty working dogs. The German breed standard for the Rottweiler was drawn up in 1901, and astoundingly, the breed has changed little since then. 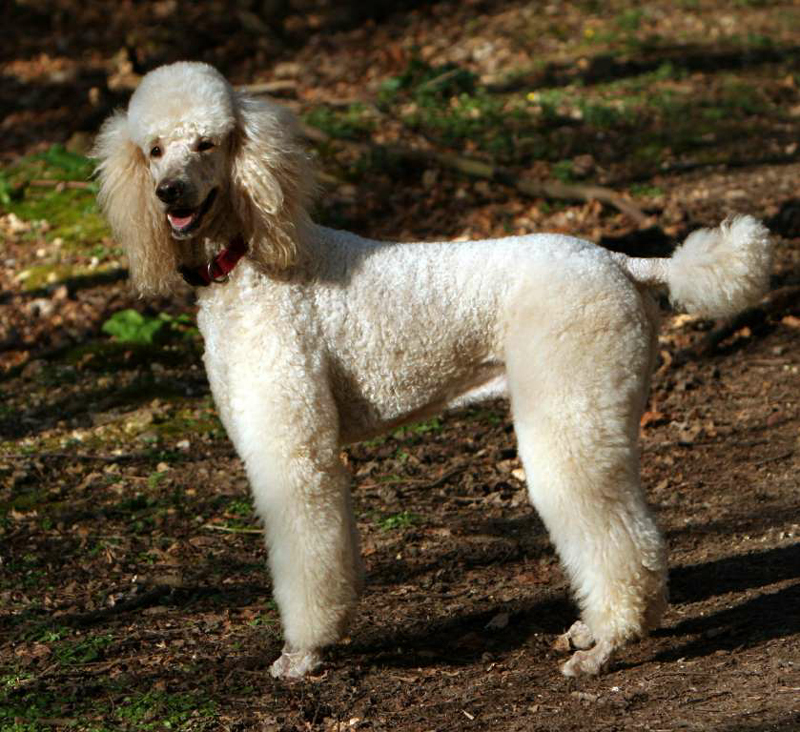 Though many associate poodles with France, the breed is actually believed to have originated in Germany, but the exact history has been lost to time. One theory suggests that poodles are related to an ancient Asian herding dog, while another posits that poodles traveled with the Moors to Portugal. Regardless, poodles were used as hunting dogs in Germany and made excellent hunting partners thanks to their curly, water-resistant coat. Poodles were eventually standardized in France. The poodle has had a lasting mark on pop culture and is famously recognized on “The Muppet Show” as Miss Piggy's dog Foo-Foo. The first dogs to be called beagles were just eight or nine inches tall, and even called “pocket beagles.” When larger hunting dogs came into fashion, this breed eventually became extinct. 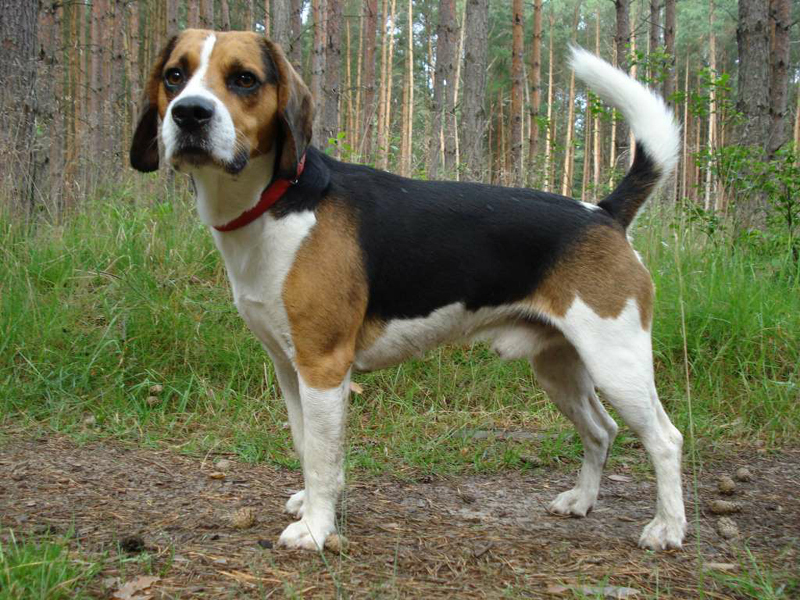 In the 18th century, several new hound breeds were created in England, and by 1840, there were four different beagle varieties in the country. In the early 1870s, an Illinois man brought beagles back to the U.S., and these dogs are said to have created the standard for American beagles today. The world's most famous beagle is likely Snoopy, the cherished comic star created by Charles Schulz. Bulldogs were pioneered in England in the 13th century for the grim practice of “bullbaiting.” In 1835, England banned violent blood sports, and the practice went underground, which led to pit-dog fighting. Eventually, the sport became much less popular and all but vanished, and breeders determined to keep the bulldog around refined the breed to make it more mellow with softer features. 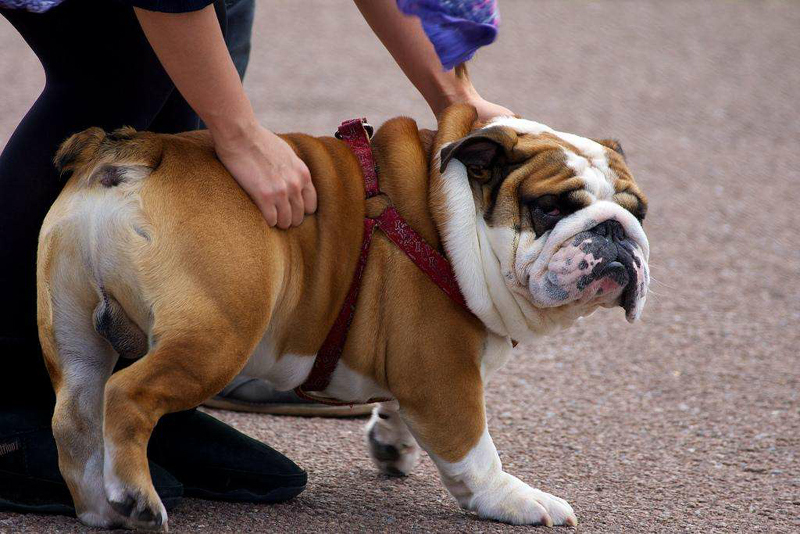 The bulldog breed was officially recognized by the American Kennel Club in 1886, and today is the mascot of Yale University, which is said to be the first animal mascot in all sports. 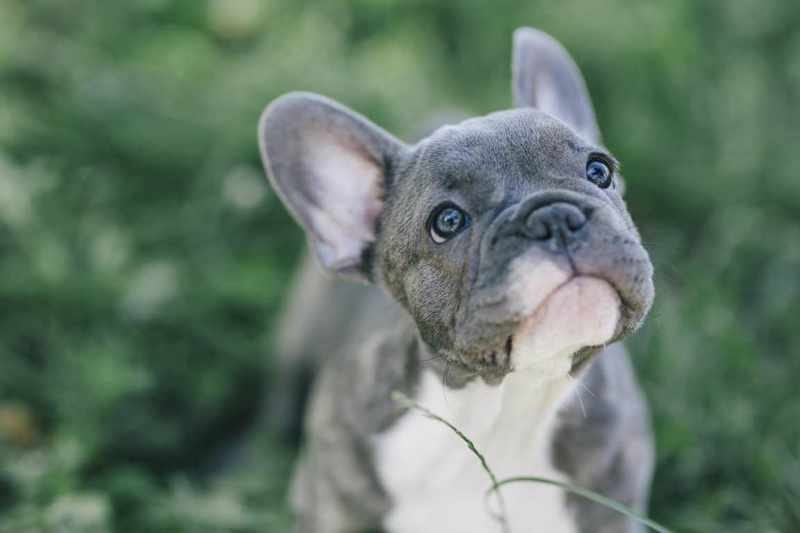 French bulldogs are descended from England's bulldogs, and they gained their French roots when Nottingham workers moved to France and took miniature bulldogs with them. 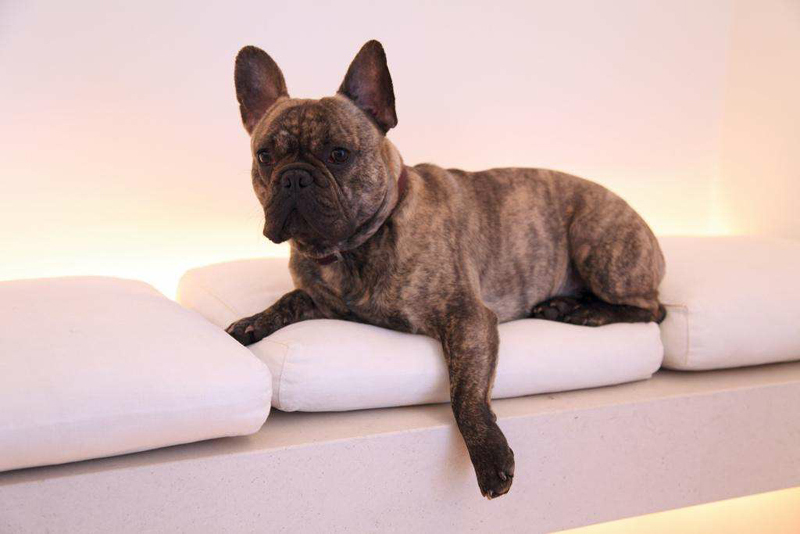 These dogs are thought to have been crossed with native terriers to create the beloved French bulldog, which became a popular fixture of Parisian working class society in the late 1800s. The breed gained even more success when a group of French bulldog breeders and admirers began organizing weekly meetings in 1880. 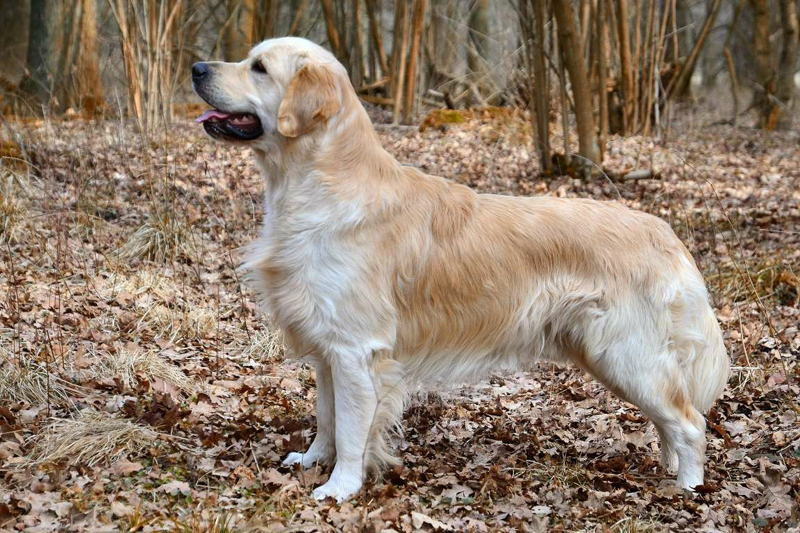 The golden retriever came to be in the Scottish Highlands in the mid-1800s when Dudley Marjoribanks created the dog after years of crossing breeds in order to develop a suitable gundog. Marjoribanks was said to have mixed his “yellow retriever” with a now-extinct spaniel breed, as well as the Irish setter and bloodhound. In 1908, the golden retriever debuted at a British dog show, and the dogs began arriving in North America around the same time. Ever since, golden retrievers have been a fan-favorite in pop culture, with guest spots on hit TV shows such as “Full House,” and the starring role in the “Air Bud” film series. As its name suggests, German shepherds originated in Germany, and they were the result of German farmers crossing breeds in order to obtain a dog that excelled at herding, yet also had a keen sense of smell and a sharp mind. The breed gained international recognition after soldiers returned home from World War I and spoke highly of the dogs' intelligence. The popular television character Rin Tin Tin also led to the breed's rise in popularity in the United States. 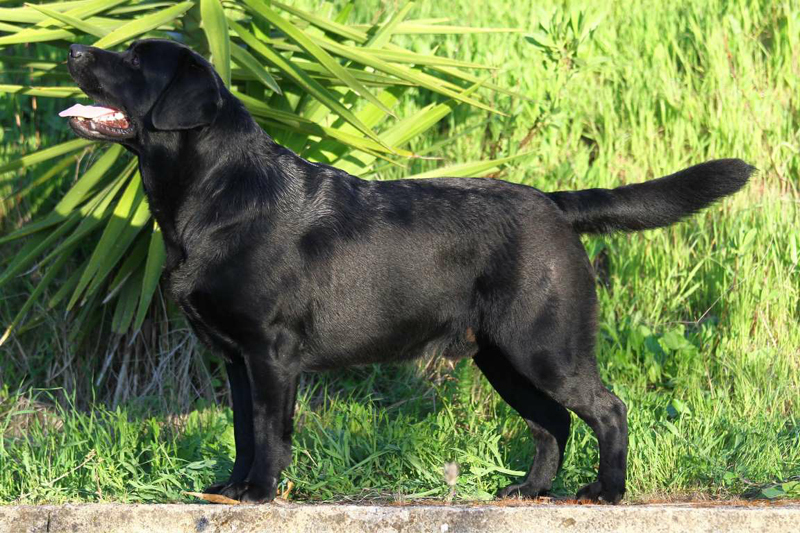 The ever-popular Labrador retriever can trace its roots to Newfoundland, Canada, where the dog was used as a duck retriever and companion for fisherman—as its short yet dense coat allowed the dog to withstand colder temperatures. The breed started becoming well-known as early as the 1800s, when English nobles visiting Canada took an interest in the dogs. In the coming century, British breeders worked to refine the breed, while it became steadily recognized for its kind and friendly temperament. The cherished book and film “Marley and Me” cemented the Labrador retriever's place in the hearts of many dog lovers.